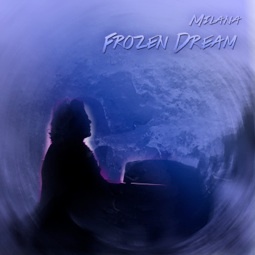 Frozen Dream begins and ends with “Autumn Dream.” The first version is solo piano and the closing bonus track is orchestrated with strings and harp. Sweet and gentle with a dreamy flow, it’s a beautiful opening (and ending!). “Falling Into You” is somewhat edgier with jazz harmonies and a very spontaneous, introspective feeling. “The Whispering Blaze of Autumn” is a favorite. 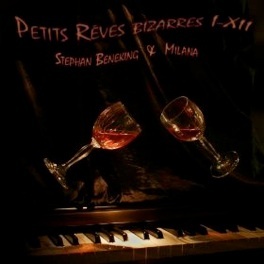 Spare and deeply emotional, the use of reverb creates an atmospheric backdrop to the haunting piano. Love it! “Looking Through a Frozen Window” has a lovely, melancholy cast. Some of the piece is smooth and flowing contrasted occasionally by the hard bite of icy cold. The title track also has the contrasting playing touches in a jazzier, freer style - another favorite. The lyrical “February Elegy” is a graceful, emotional heartbreaker that is SO beautiful! “From the Heart” lightens the mood considerably while “Tenderness” is so delicate it is almost fragile. “Violet Dream” is close to ambient in style, flowing freely and gently. Very expressive and just a little bit edgy, “Movement” would be an inspiring piece for a free-form dance.”Waltzing At Dawn” is a slow, romantic waltz for two set in the early-morning stillness, expressing warmth, contentment and a sense of freedom. 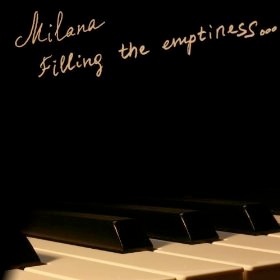 If you haven’t yet discovered the wonderful artistry of Milana’s music, this is a great place to start! Highly recommended!